Summary of training activities at UBC for prerequisite courses, May 23-31, 2018. Ramzan Ali (visa unavailable in time, so unfortunately did not manage to join. Erica Jeffrey: ecology course developer. Pickup at YVR is not a problem for up to 4 travelers. Otherwise, taxi will cost ~CAN$45.00 to or from UBC campus. Public transit light rail & bus is possible but will take ~1.25 hrs. For time off, city busses are adequate. Accomodation; see separate doc for recommendations. Staying on UBC Campus is HIGHLY recommended. This trip started with bookings for UCA travelers at the Patricia Hotel, a barely adequate budget hotel in Vancouver’s roughest part of town, and 1.5hrs bus travel from UBC. 8-9 days makes for slightly more relaxed (i.e. not rushed) time. Also allows extra time if needed for unforseen course development issues. This visit (for prerequisite courses) did not need extra time. 10-11 days is more than enough, but nice for visitors who will then have time to see Vancouver and environs. Meals: No catering for such a small group of visitors. Some lunches and coffee breaks can be catered for larger groups. Lunches: most will be as a break at on-campus cafes (several options). UBC will buy many of these. Dinners: up to individuals. One or more may be “social events”, with some of the UBC team. Coffee breaks can be arranged, but several cafes are less than 5 mins from working spaces. Working spaces: mixture of Earth Sciences and Geography Buildings. F. Jones has key-access to ESB but not Geography (for weekend access). There are classrooms and meetings rooms for 12 or 24 participants. Working times: weekend days were chosen as more convenient for course developers, who have other full time jobs during normal week days. Some times were available during weekdays, but for concentrated half day, the Sunday time slot was found to be most satisfactory. Attend free UBC professional development workshops about teaching and learning (much appreciated). Observe UBC classes in session (also much appreciated at prerequisite level). Summer term means classes are double length compared to normal terms. Most are “large enrollment” (~150-250 students). Whole-group meetings to discuss curriculum, etc. Two, possibly three are probably adequate. One-on-one meetings with instructors and course developers. Most important and specific component of ‘training’. Social opportunities. Important; lunches are relaxed, 2-3 dinners involve whole team, or at least sub-sets of the team. One evening event at a team-member’s home is much appreciated. Down time: not study time (see above). Slow first 24hrs is recommended after long distance travelling. Two or three ½ days to see some of Vancouver are much appreciated, and contribute to efficient, well-motivated training sessions. Visas! Very important to sort these out 4-6 weeks in advance. Ramzan could not participate owing to slow visa. Also Maqsad had to go through Moscow to collect visa from Canadian Embassy. This is tiring. Have final versions of course materials available in Google Drive for reviewers. Then, by email, ask each visiting instructor to review, then articulate priorities if possible. Daily itinerary for prerequisite training, May 23-31, 2018. Unscheduled; visit / tour UBC, review itinerary, priorities and preferences with FJ. Pick up remaining UCA visitors, all meet briefly at UBC, drive (see some sights on the way) to accommodations to rest. Welcome and meet the whole UBC development team. Discuss priorities. Meet undergraduate summer students working for UBC team. UBC workshop: Provide Immediate Feedback on a Summative Exam by Adding a Group Phase; IKBLC. 1:30-3:30; UBC workshop: Spaces & Places in Education: Enhancing Engagement by Creating Connected Content. 3:30; all to review, discuss workshop(s) Revisit priorities. 9:00: All to attend. Course developers present short overviews of each course. Review course objectives, flow, logistics, pedagogy, assessment, documentation, and answer preliminary questions from instructors. 12:30-3:00 Observe UBC large-enrollment course, Chem 233: Jackie Stewart instructor. 3:30-4:30: meet Jackie Stewart, FJ’s office. Study / review materials of specific course relevant for each visitor. Rank types of teaching (or pedagogies) in terms of how much guidance is desirable. Identify specific modules, lessons, lab exercises, etc. for discussion or clarification. Other ideas? Any suggestions are welcome. Free time to explore as a tourist in Vancouver. Work at UBC on weekends requires team-members with key-access to the main meeting spaces (Earth Sciences Building and/or Geography Building). 10:00am meet at ESB atrium (rooms to be found at the time). AM / PM: Meet individually (instructor with course developer) according to needs. Lunch at a nearby restaurant, coordinated and payed for by UBC team. Aim to end “early” on Sunday – do be discussed. 10:00-12:00: Observe EOSC114 “Natural Disasters”, Alison Jolley, ESB 1013. PM: un-assigned. We discuss remaining priorities. Also discussed active teaching strategies in math classes and two-stage exams (using http://blogs.ubc.ca/wpvc/ ). 9:30 – 12:00 Maqsad and Trevor observe Phys 101 class. 10:00-11:00 Ian meet Erica J. and Chris Kopp re. 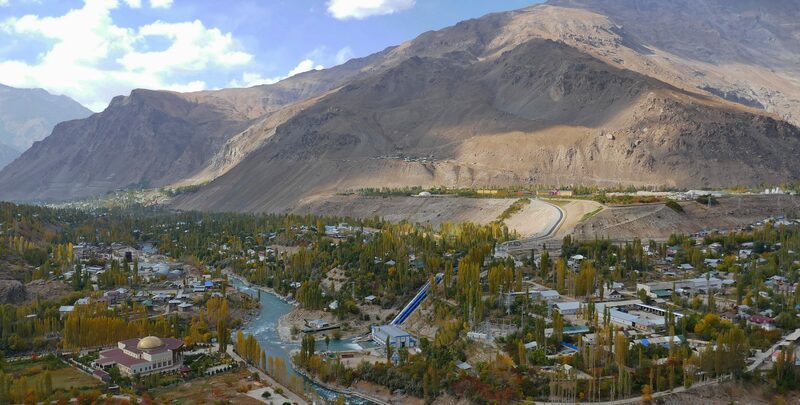 Chris’s upcoming trip to Tajikistan, and upper level ecology courses. 1:00pm: Maqsad meet Elizabeth, re. chemistry. Possibly join PHASER (Physics & Astronomy Education Research) group 2:00-3:00, then Sci. Ed Community of Practice reading group 3:00-4:00. Social evening organized by Linda S.
10:00-12:00 Observe Biol121, “Genetics, Evolution & Ecology”, with Erica J. to discuss aspects of this course. 12:30 – 2:00: Meet Matt Coles, math Science education specialist. 3:00: Discuss and itemize next steps (course developers to attend if practical.) Note: this meeting was “less crucial” since many of these discusses had already occured during one-on-one meetings. strategies for reflection and recommending improvements during and after first teaching term. Itemize necessary updates to content and pedagogy plus a timeline. 9:00: Summarize lessons learned and actions needed. Eg, sharing of sensitive files, expectations for deployment review and first-time updates, other topics? Any comments? Please feel free to add any thoughts or comments here.